The Liquids segment supplies natural gas liquids to retailers, wholesalers, refiners, and petrochemical plants throughout the United States and in Canada. 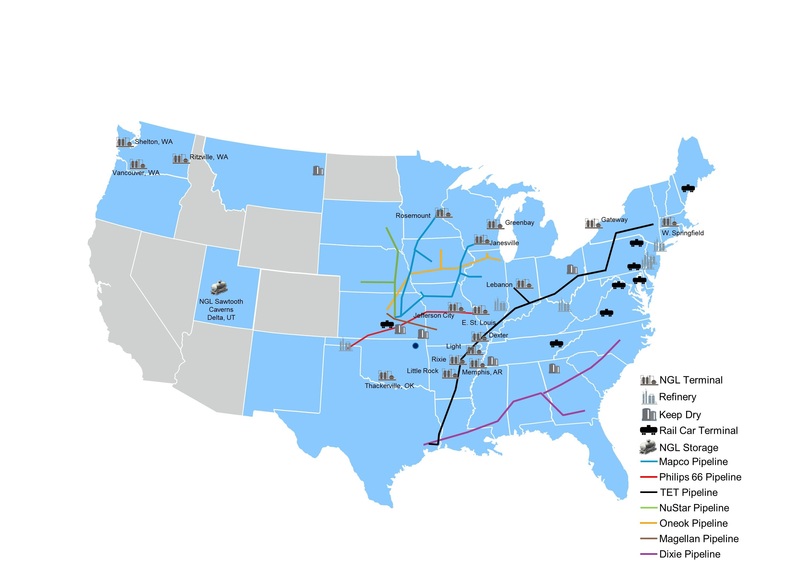 Using its leased underground storage and fleet of leased railcars, the Liquids segment markets regionally through its owned terminals throughout the United States. The Liquids segment also provides terminaling and storage services at its salt dome storage facility in Utah. 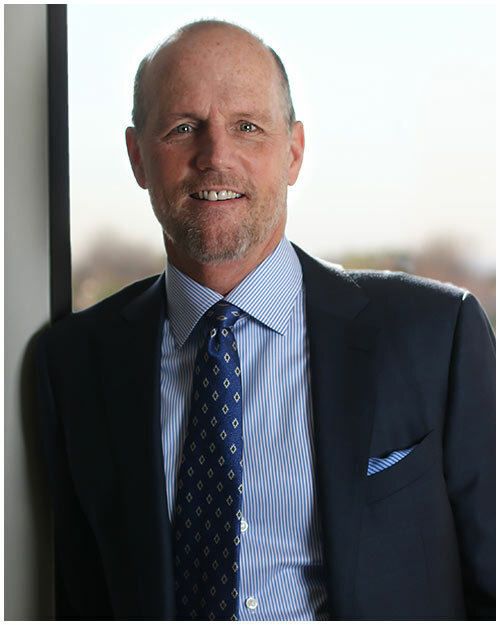 Jeff Pinter joined NGL in 2018 and currently serves as Executive Vice President of Natural Gas Liquids, which includes Centennial Energy, NGL Supply Wholesale, and NGL Liquids Terminals. 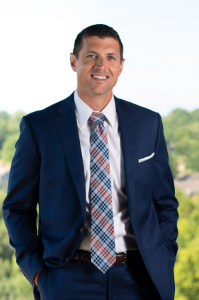 He joined NGL after 12 years at Chesapeake Energy Corporation, where he spent nine years on the upstream side of the business, building and developing various unconventional plays from Texas and Wyoming to the Appalachia Basin. He then transferred his skills to Chesapeake Energy Marketing, where he served as Director of Commercial Services and Director of Crude Oil and NGL Marketing. Jeff received his B.A. from Oklahoma State University and his J.D. from the University of Oklahoma. Mr. Furman is the Senior Vice President of the NGL-Liquids division in charge of our Natural Gas Liquids Supply and Wholesale business. Mr. Furman began his career in energy with Texaco NGL, where he served as a Logistics Representative. Mr. Furman has been part of the NGL teams at Williams, Enterprise and BP where his last role was Regional Vice President in BP’s North American NGL group. Mr. Furman then took over the leadership of the Natural Gas Liquids team at Gavilon, where he started and led Gavilon’s wholesale propane division until being purchased by NGLEP. Mr. Furman received his B.S. from the University of Tulsa. Aaron Reece joined NGL in August, 2002. Upon graduating from Fort Hays State University in 1991, Mr. Reece began his career with Farmland Industries. After holding various refined products and natural gas liquids sales and marketing positions, he managed a refined fuels and propane marketing group for the Farmland Industries and Cenex Harvest States joint venture, Country Energy. 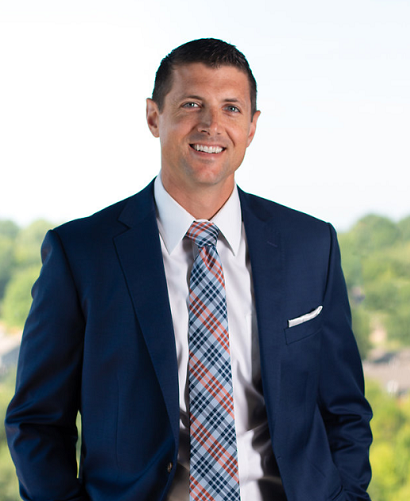 Mr. Reece’s varied experience has also been leverage at NGL in the areas of wholesale marketing, system implementations, risk management, retail acquisitions and management, and supply logistics. Mr. Reece currently leads our NGL Supply Wholesale division. Mr. Eberhardt currently oversees the Natural Gas Liquids business of NGL which includes Centennial Energy. Mr. Eberhardt began his career at Vessels Oil & Gas, where he served as a Marketing Representative. 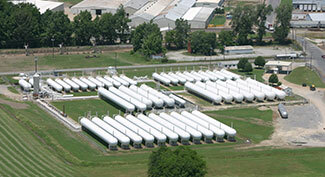 While at Vessels, Mr. Eberhardt developed new propane markets along the Front Range and in Wyoming. From 1995 to 1997, Mr. Eberhardt served as Supply Manager for Total Petroleum, handling NGL feedstock for Total’s five United States refineries. Mr. Eberhardt joined Centennial Gas Liquids, now Centennial Energy, in 1997, where he served as a Marketing and Business Development Director. In addition to Mr. Eberhardt’s responsibilities overseeing the NGL group, he has focused on expanding Centennial’s business in the Eastern United States. Mr. Eberhardt received his B.A. from Regis University.